All of our packages now come with integration and our integration guarantee. If you want a pay per performance affiliate program, such as one offering commission on sales, then AllAffiliatePro must be integrated with your order system to tracks sales. With this service we integrate the software for you. 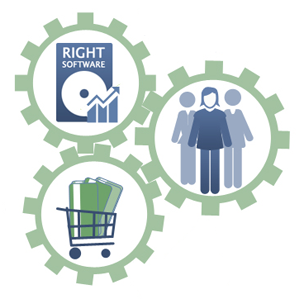 Not seeing your shopping cart may give you the false impression that our software isn't compatible. If your shopping cart is listed, it's version may well have a completely different interface to the one that was integrated with when the logo was added. The only viable solution is to offer a 100% integration refund guarantee as we do. Having been in business since 1999 we've working with hundreds of different cards from common open source products to custom built e-commerce sites. If we can't integrate to track sales with your site, no one will be able to!